Candidates running for A.S. Council and all the college councils attended the annual A.S. Candidates meeting Thursday at 8 p.m. in Price Center after filing for this year’s election closed at noon. The elections managers for A.S. Council and the individual colleges explained the election bylaws and introduced the candidates, which was followed by the candidates having their official election pictures taken. 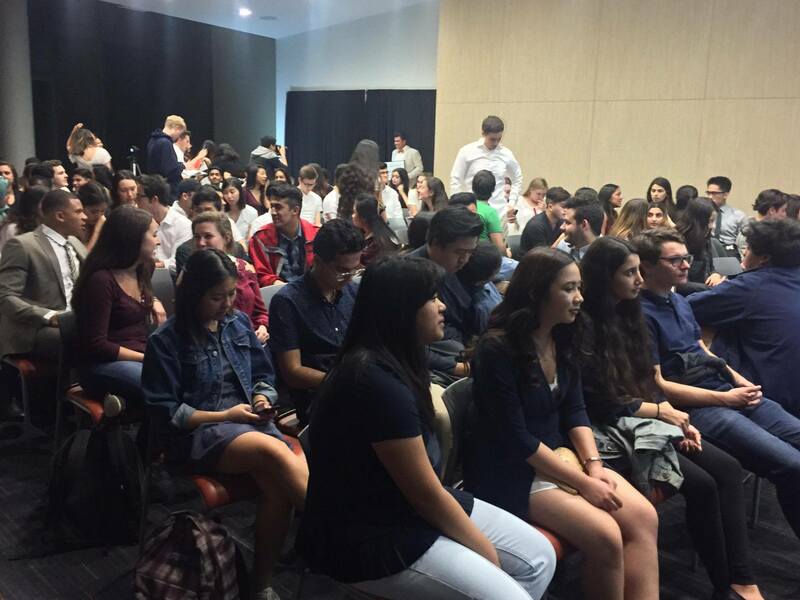 Over 100 student candidates gathered at the event, representing different slates or running independently. Although six slates registered to compete for positions on A.S Council, John Weng’s Army, Students Determined and THRIVE will be the only groups fielding candidates. There is only one slate for each college council. A.S. elections manager Jan Natarajan told the UCSD Guardian that due to the unpredictability of elections, she cannot say whether candidates will campaign cleanly and fairly. “I think that the nature of elections means that things come up unexpectedly, but I look forward to working with this group,” Natarajan said. Natarajan also said that she hopes to improve student participation. Campaigning commenced as soon as the meeting finished and will end on April 8 at 4 p.m.
Any violations of the election rules by A.S. candidates, such as hanging posters in prohibited areas or campaigning during lecture, will be brought before the A.S. Elections Committee by filing a complaint online. The committee, which consists of representatives from each college and is headed by the A.S. elections manager, will review the complaint in a grievance hearing, render a verdict and potentially decide on a sanction. For college council elections, possible bylaw violations are reviewed by the respective college elections managers. The voting itself will take place on TritonLink from April 10 to April 14, and the election results will be announced at 5:30 p.m. at Round Table Pizza on the last day of voting. A complete list of candidates can be found here.